This is a fun low-carb recipe that tastes great. I do not know the carb count but it is obviously a low-carb, gluten-free, healthy dish from http://www.primallyinspired.com. 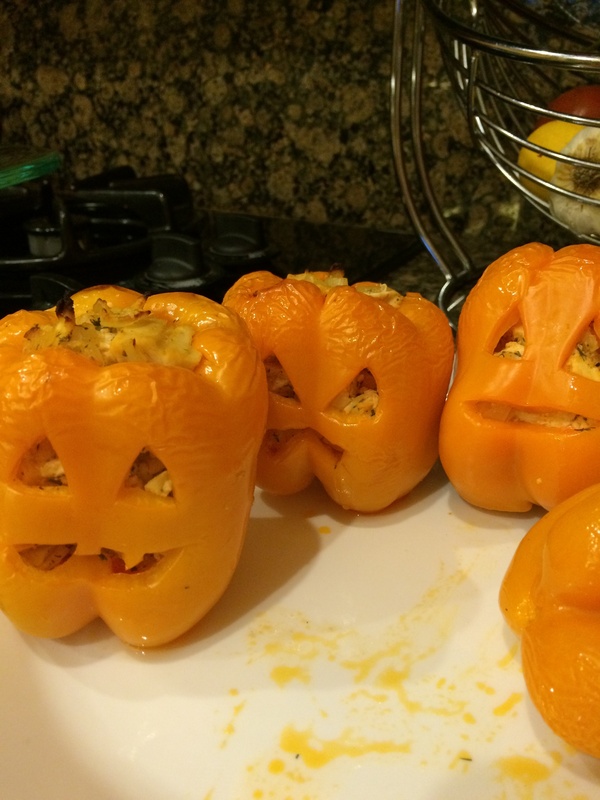 If you are cutting Halloween faces in the peppers, do so before they go in the oven! Sprinkle the entire pan with dried slices. Salt and pepper, to taste. Place a small pat of butter over each chicken breast. While chicken is cooking, melt 1/4 cup butter in a pot over medium low heat. Once melted, add in hot sauce and stir. Set aside.